Home > Movies > Awesome!!! 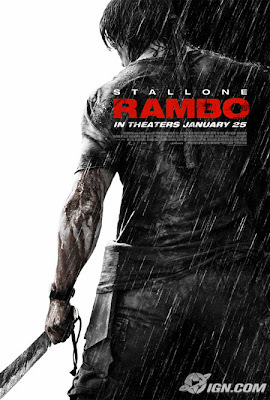 Went to watch Rambo IV the other and amazingly enough it was one of those rare moments where I went to watch and enjoy a movie all alone (to be exact only the second time)!!!! A fast paced and edge of the seat movie and the only word that came to my mind after watching the movie was "AWESOME"!!! This movie is certainly neither for the International movie viewers how believe in Amarican Pie genere of crap nor it's for the Indian movie viewers how believe in Shah Rukh Khan, Karan Johar and RajShree Production genere of drama. This movie is RAW . . . . LETHAL . . . BRUTAL and only the strong hearted could watch it. It's as real as the real situations are!!!! Hats off to Sly for making such movies at such age. I don't think any other living Holywood actor can match the cinematic vision of this person!!! Yep, it Raw and Brutal..
Actually it was funny watching a few ladies in the Audience (when I went to see it)..
And this time too there were some ladies in the audience giving some reall funny expression (you know what sort of expression). But the funniest of them all were there Father-Child duo sitting next to me, with the father ending scolding the son on making him come to watch this movie with literally every drop of blood that was shed in the movie. Kinda reminds me of a similar event from my childhood.. I had convinced my parents to watch Mithun da's "Dance Dance".. Eeeewww..! !